I am using a small FS2A Rx from banggood , so far these have proven to be cheap and reliable for me . The Rx was put on the foam protrusion that is the forward wing lock into the fuselage . I wanted to keep everything together as much as possible for the insertion and removal process of the battery . So everything has to be as clean as possible . 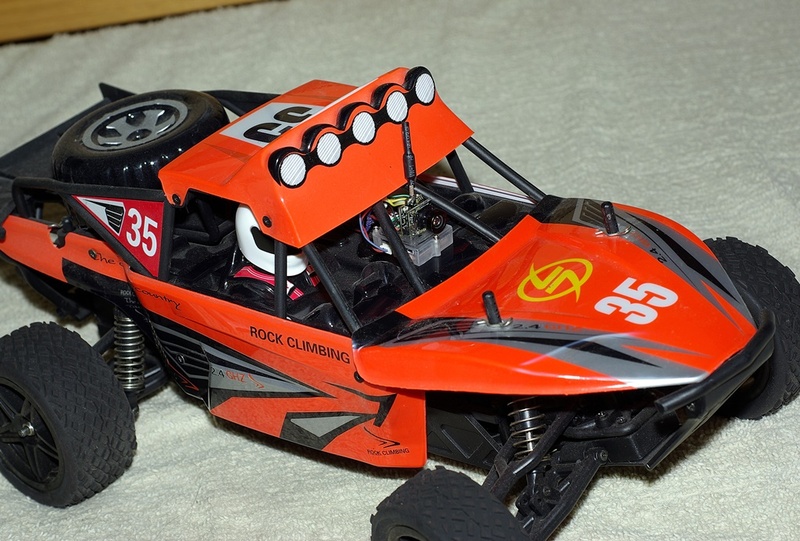 The MR RC ESC simply did not work . I dont know what happened but the ESC and Rx simply just threw a WOBBLY ! Connecting a battery and things kind of went haywire .. So I tried another ESC and everything was fine ( ?? ) Sharp eyes may pick up that I have installed another 12A ESC . Everything looks to be working , the install is relatively clean and clutter free offering easy access for the battery . 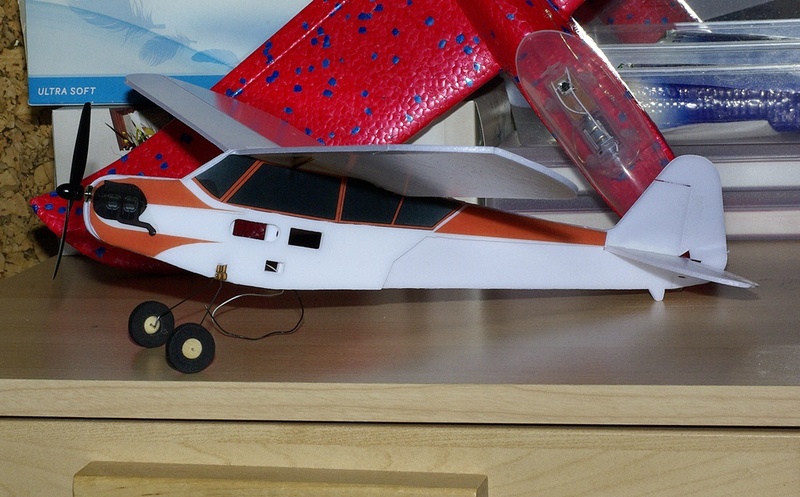 The next thing I do is install the tail surfaces and connect the control surfaces . After which I can worry about the battery and CG . Most of the air seems to go down , not much air going up .. But since I put the screw into the nose of the ELF to hold the Canopy / pod / nose cone in place , I thought it best to actually test it under field conditions . The screw worked perfectly ! , I'm happy to report . 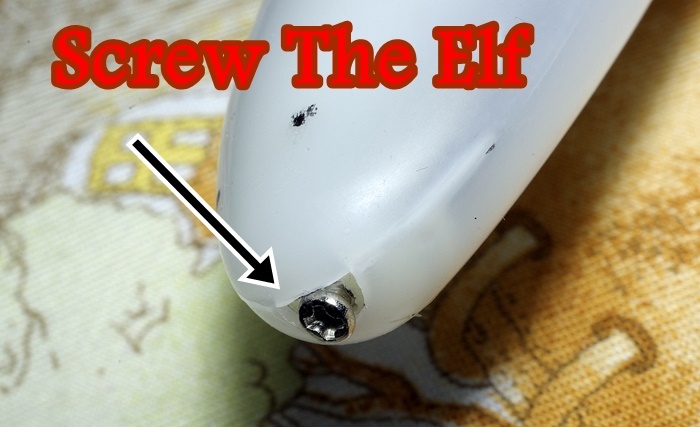 There is a hole in the front of the canopy ( pod ) , and I thought if I put a screw into the front part of the boom ... It could act like some sort of fastener to hold the canopy in place without the needed tape .. So my idea was to have a screw with a small enough head ( 3.3mm ) so I can slip the Canopy / Pod in place without actually removing the screw . Who the heck want's to drag tools to the park , and possibly lose the screw in the grass ? That would be super annoying ! So now the screw head has just enough tension on the face of the edge of the opening to hold the canopy / pod in place .. And just a little bit of force is required to pull the canopy / pod off to install or remove the battery . Should the plastic wear , I can put in a new screw with a slightly larger head .. The old now V911 heli control board is getting hard to find and some what premium priced .. So I felt the need to find an alternative .. There is still the V949 control boards , but with the release of the new V911s Helicopter ! I thought I might search out a control board and see if it can be used for other applications . Being a fan of the V911 boards , they will be missed for being a cost effective way of controlling RC projects .. The V911s board is not a very good option at all .. Much cheaper to buy a 4ch micro Rx and some cheap servos .. Especially since the FS2A one from Banggood runs so well on a 1s battery .. The J3 really can fly well when the correct CG is achieved . Don't ask me , everything was fine , then crash ! There just was no servo response .. I could cut the throttle just fine , but the servos . Cant blame the J3 for the flight board issues ! Anyways , I unsoldered the antenna and replaced it with something much longer ..
Will see what happens .. So there is more power available .. Went to the park , took the UMX Whipit as it has not flown in quite a while .. The whip behaved itself ok , just a little trimming for the conditions . What was it with 24 seconds ? I got in one 41 second toss , but nothing close to a minute .. Some times the park felt a little like a sink hole ! It was really hanging it's beehive .. And tip stalling like a champ . Hmmm , I could only wonder if the CG was too far back . That wing is a little like a parachute , so it might have been ballooning . VIOLA ! - It flies , right into a tree ! So it flies .. I just need more space .. The V911 control board has been connected to the motor ..
And then hot glued into the J3 .. Elevator / Rudder connections made .. I did some chuck testing with the battery taped to the fuse and ........ I put some Velcro on the belly ! This way I can move the battery for CG .. It is way too breezy for the J3 outside , so I might do some taxi runs in the hallway .. It was very calm last night . so maybe a after dark session with the J3 ? I saw this on banggood.com and thought - how cute is that ! 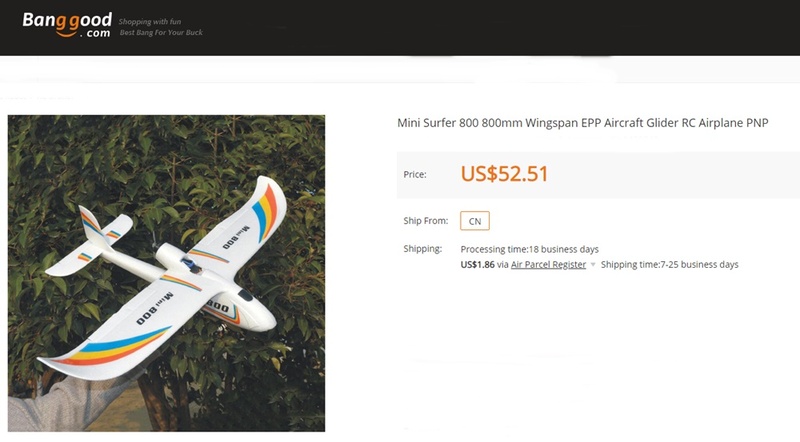 With Oz Wizards becoming crazy %^&^&#$^*'s and criminalising RC in Oz , it looks like law abiding citizens need to think smaller if they dont want to be licensed and registered like gun owners for flying model air-planes . So with crazy Wizards running Oz ! My plan is to use one of my precious V911 boards to fly the J3 . So as pictured , is where the stock build ends ... And the V911 conversion starts . This makes for a light yet relatively stiff sheet fuse . 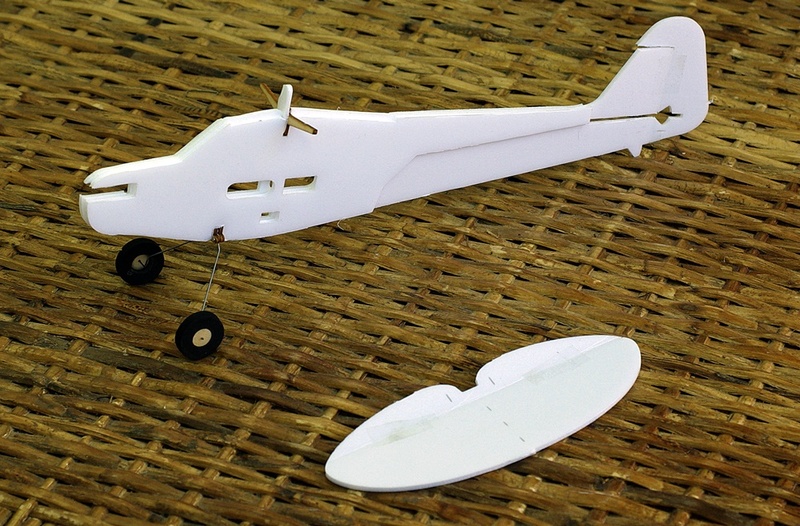 Also be sure to alight correctly as the two outer pieces are used to create a slot for gluing the wing into . The rudder seems fine , but you need to be careful gluing the elevator .. It needs to be located carefully so it does not sit too far forward or to far back . Cool Overcast ( Dull grey cloudy day ) , but little wind .. It was almost an ELF'ing day ! So I had to take the Elf to the park .. This time I used the slightly heavier 260mAh battery to move the CG forward a little ..
Hmmm , my launch settings worked , but I had a problem by where -- When I used the trim tabs to adjust elevator for cruise it would also effect my launch elevator setting ( A lot ) .. I nearly slammed the Elf into the ground because of this ..
Another FS2A Rx came ... I do like these .. 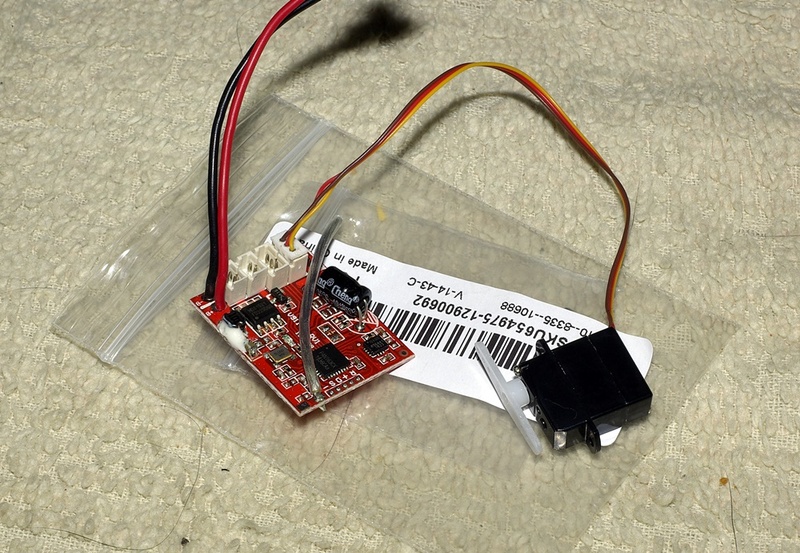 Minimum Rc J3 came today ... Will most likely put my V911 control board into it ..
FS2A Rx from Banggood .. Lets start here - I took it out a few mornings ago after doing some tuning in the front yard . At my CG test site my first Spear Chuck was magnificent . And after that things just got steadily worse until the wing would just GLUD into the ground ..
For some reason , it refused to break , which was nice . But I was getting frustrated and I was beginning to have daydreams of doing a rain dance on top the wing . The satisfying feeling of venting frustration stomping something into the ground ..
Rather I decided to stick to my plan , and the plan was to DLG the wing if nothing else worked ..
As seen in the picture , the wing has been joined .. The Bixler HLG has begun ! The wing is 1440mm after trimming and joining . And it really is Floppsy .. Yes , it will need carbon . It is super flex'y , and the weight is not good , it's going to be a weighty bird . Might be nice on a slope ? or bungee launched . I will build it ..
Got me a small geared motor ..
Maybe ? V911 HLG becomes motorised .... If I can get to the control board . I was right .. I had to tap into the + and - from the battery as well the video OUT signal wire .. So it might look complicated with all that wiring , but simply eliminate whats not needed and your talking 3 wires ..
All that's needed is a micro SD card and a 1s battery for power .. So we are talking about , half an Amp region for current draw .. Just got to make sure your battery can handle that . I will have some video shortly , just need to do some editing .. 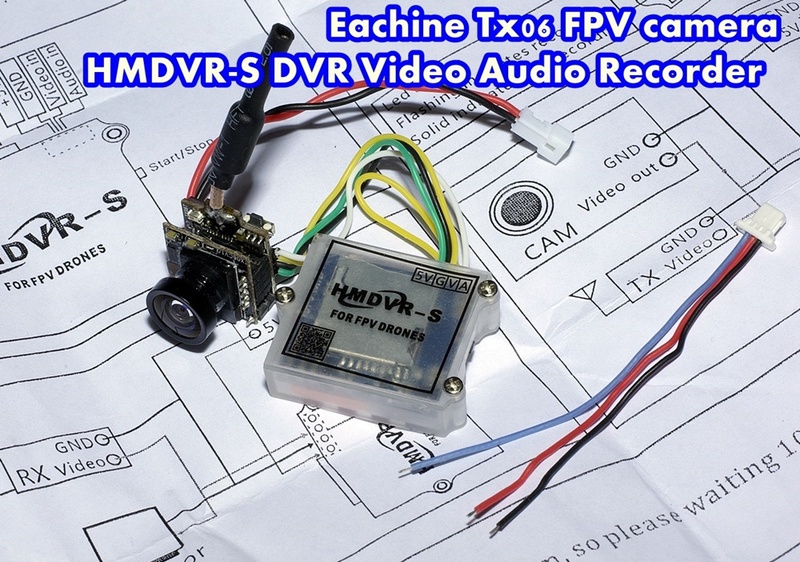 So what I have here is a very small , FPV camera / video recorder set up that is highly mobile .. Positive from battery - Negative from battery ( power ) and the video out ..
Wiring done ... Easy ! Shake N Bake ... For better or worse ! Ready to record video , or ready to cook something ? Oh dear ! So glad I did not think it would be plug and play .. Some soldering will be required ..
+ and - will come from the battery to the camera and to the DVR .. Both need to be powered separately ..
Then I need to tap the video out wire for the feed to the DVR ..
Looks complicated , but I don't think it is ..
3 wire plug that came with the DVR ( ? ) Should have been 4 wire , and look at the color coding .. It be completely out of whack .. Not to worry .. + you need to be very careful inserting the plug ( 3 pin in 4 pin slot ) , oh oh !